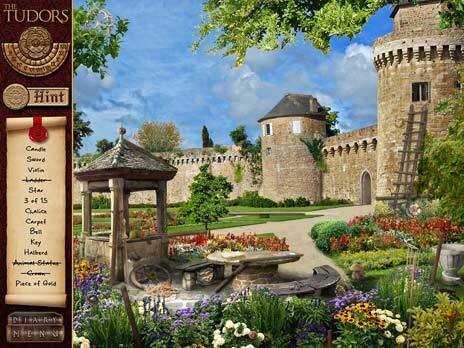 Based on the Irish/Canadian television series, The Tudors is a hidden object game that fans of the genre would definitely want to check out. Only two weeks after the execution of his former wife, its King’s Henry VIII’s wedding night. The festivities are over, and Elena Sedgrave and her father William are just about to call it a day when a strange noise is heard within the castle. Apparently, one of the mansion dwellers has been poisoned, and after the protagonist Elena concocts an antidote and saves the day, King Henry decides to task her with escorting her father on a diplomatic mission to France, and act as his personal spy. Without much of a choice, Elena starts a journey full of deception and betrayal, towards Europe. 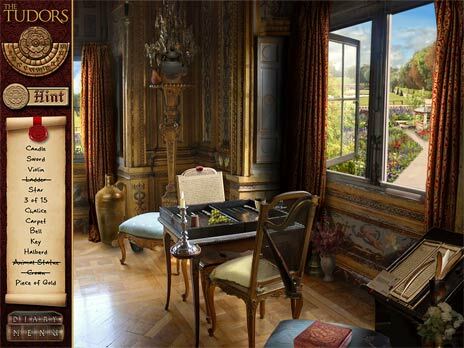 As is many most typical hidden object games, your main objective in The Tudors is to find the various objects scattered across the different screens. But The Tudors insist on more then just your average pixel hunting hidden object game. With minor elements of an adventure game, and different puzzles to solve such as jigsaw puzzles, finding differences between two pictures, lock picking puzzles etc, The Tudors gets a boost to its game play depth while staying loyal to the genre at all times. You get to choose from the traditional ‘time’ or ‘relax’ mode. Time mode limits your search time available at every screen, allowing you to earn points at the end of every level (or perhaps to make the experience more challenging), while relax mode is not time limited. The “hint” button recharges fairly quickly above the item list, the scenes look great are capture the atmosphere of the period well. The objects themselves are not too easy to find but at the same time not impossible either, so the searching experience is nicely balanced. So to sum up, if you like hidden object games, The Tudors is a little gem you won’t want to miss, especially if you’re a fan of the series!